The world of motor racing has long been a ripe source of influence for watchmakers, and some all-time classic timepieces have been inspired by racing. Now there is a new name on the block, blending heritage, quality, and exclusivity into an enviable package. 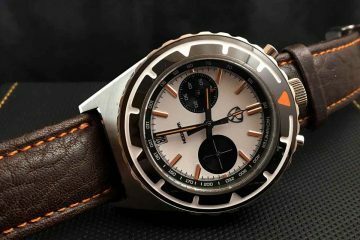 Renowned designer Alessandro Salvatore has merged his love of race cars with cutting edge handmade crafting to create the Ferdi and 3Five6 watches. 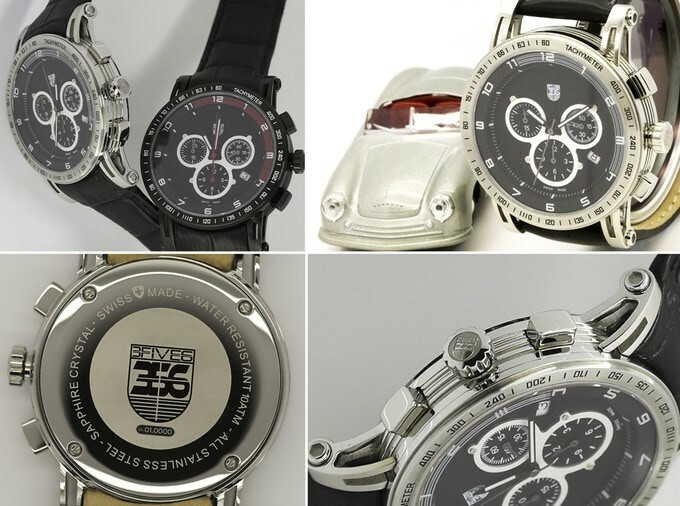 This new collection takes direct inspiration from Ferdinand Porsche and his legendary Porsche 356 race car. Salvatore’s new timepieces are now available through a Kickstarter crowdfunding campaign, bringing affordable handmade quality to customers. 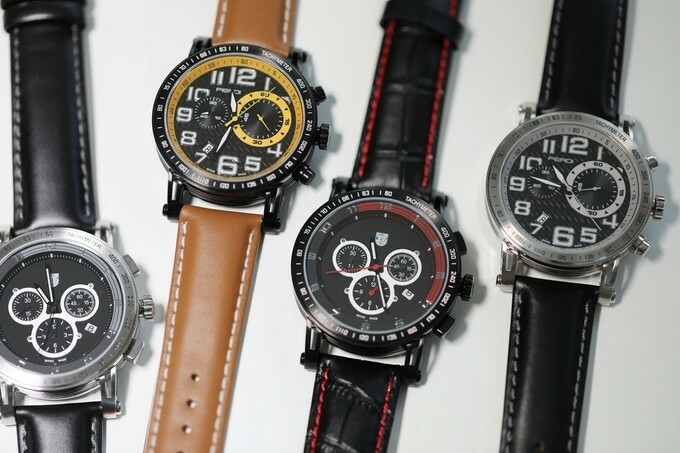 Salvatore has opened a new Kickstarter campaign for the Ferdi and 3Five6 watches. You can check out the details right here. The 43mm watches are 12mm thick and feature an Italian made natural vegetable tanned leather strap, available in various colours. Both Chronograph timepieces, the Ferdi comes with 2 eyes, a centre stop second, 30-minute counter, Tachymeter, Date, and small second configuration. The 3Five6 features the same elements, but is a 3-eye chronograph that also has a 12-hour counter. Salvatore is particularly proud of the crafting of the case for the Ferdi and 3Five6. So much so, he describes the manufacturing as a masterpiece. Using tapered and arched lugs, the case fits impeccably to deliver a high-quality finish. The top and bottom of the case are clean polished, while the 1mm middle boasts a horizontally brushed finish. A beautifully engraved stainless steel case back highlights the “Swiss Made” excellence of the watches. Of course, the crown is one of the most important parts of a watch. To ensure longevity and quality, the Ferdi and 3Five6 feature elegantly machined crowns embossed with the watch logo. Continuing the high level of design, Alessandro Salvatore used museum grade sapphire to deliver a strong and bomb-proof crystal display with an anti-reflection coating. 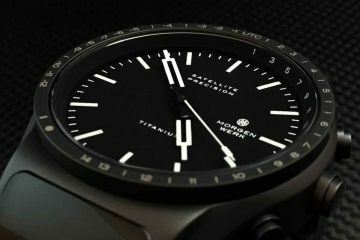 In the company’s Kickstarter campaign, the team discusses how the dial was painstakingly constructed to deliver the highest aesthetic appeal and functionality. 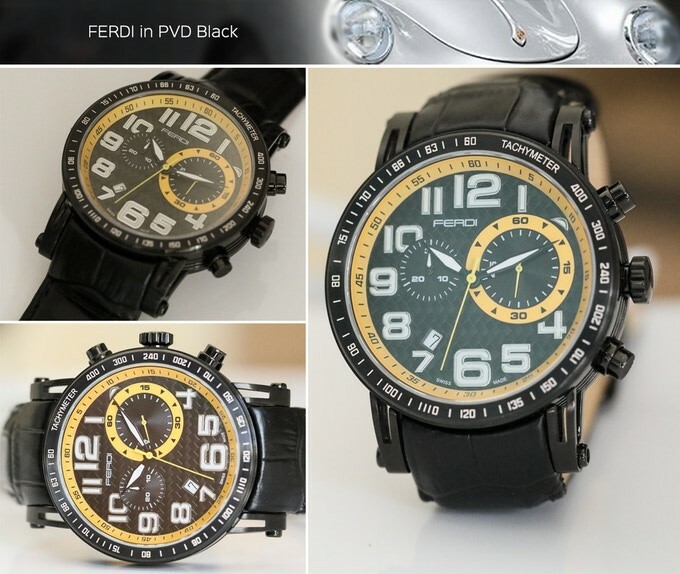 The Ferdi sports Ronda 5021.D movement, while the 5030.D (10/13 Jewel Swiss quartz movement) for the 3Five6. Alessandro Salvatore also adopted a unique approach to the watch hands. Specifically, the hands do not move slowly around the dial, but instead move in steps. Interestingly, this means when the seconds hand reaches 60, the minute hand literally steps to the next minute. Additionally, when the minute hand reaches 30, the hour hand on the sub dial will step to the next half-hour mark. This is far more than a technical gimmick because it allows the Ferdi and 3Five6 to be easier to read and to be more mechanically efficient. Both the Ferdi and 3Five6 are high quality whilst managing to look excellent to boot. They can also be roughed up a bit and get 100m water resistance rating, so taking them for a plunge should be no problem. 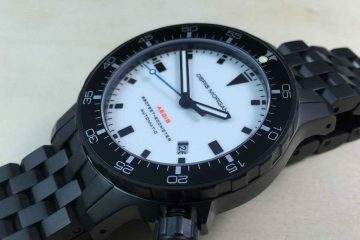 So, the reason to wax lyrical about these watches is because they are the highest quality, but are also very affordable. At AUD $575, or US $457 / €374 / £333 these beauties are more watch than they are money. These are handcrafted timepieces made from high-end materials and will be on offer for 48% off RRP when bought through Kickstarter. I have two watches with the the 5031 from Ronda that have not missed a beat in years ±40″ per year.